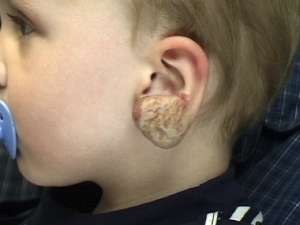 Hemangiomas are the most common tumors of infancy. However, there is a rather poor understanding of how to guide parents in treating their child’s hemangioma by the medical community. Hemangiomas are unique benign tumors. Usually, a newborn child has only a reddish blush on the skin at birth, which means the child looks healthy, beautiful and normal. 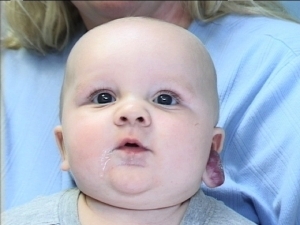 After a couple of weeks, an hemangioma will grow rapidly and enlarge. This will determine how small or large the hemangioma will become. It may stay very small and flat or grow out like a fleshy red mass. After 4 to 6 months of rapid growth, an hemangioma will continue to grow but at a much slower pace. The peak of the growth is usually 8 months to 1 year of age. 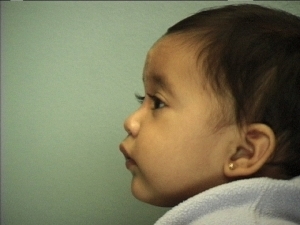 After one year, an hemangioma will go through a long involution phase. 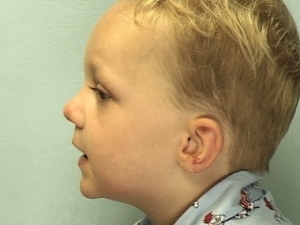 The involution process of an hemangioma varies depending on the size and shape of the hemangioma. For a larger hemangioma, it will most likely take many years (4 or more) for the size to get smaller and the red color to fade. If the hemangioma remains flat and the degree of skin involvement is small, the recommendation of pediatricians world wide to ‘not worry, it will go away’ is very sound advice. A small and/or flat hemangioma has a very high chance of disappearing completely. However, if the hemangioma grows out and fleshy like the size of a large red grape or even worse like the size of a red plum, then the advice of ‘don’t worry, it will go away’ is misleading. The size and red color of a large reddish hemangioma may diminish in size and color over many years, but will it leave behind a scar and irregular baggy skin after many years of waiting? This is a very important question because a parent should be able to choose a treatment plan based on how the hemangioma will appear after waiting many years. To put it more bluntly, would a child look completely normal after a parent waits 5 or 10 years for the hemangioma to ‘go away’ ? Any experienced pediatrician and pediatric plastic surgeon will know the answer. It depends on how big and superficial the hemangioma grows. It also depends on location. If an hemangioma is on the underside of an arm or on the back, small and flat, this kind of hemangioma will not affect the child or the parent. 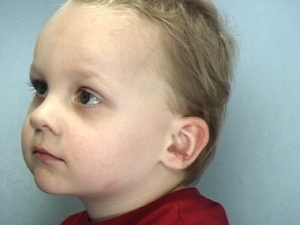 However, a growing hemangioma on the face or scalp is much more difficult to ignore. If an hemangioma grows very large and superficial on the face and predictably will leave behind a very noticeable and sizable scar after many years of waiting, what would you want to do as a parent? Most of the time, it does not matter what the parents want because they are not given a choice. If the parents are fortunate to be given a choice, would they find a plastic surgeon experienced enough not to create more problems such as bad scarring or distorting the face. 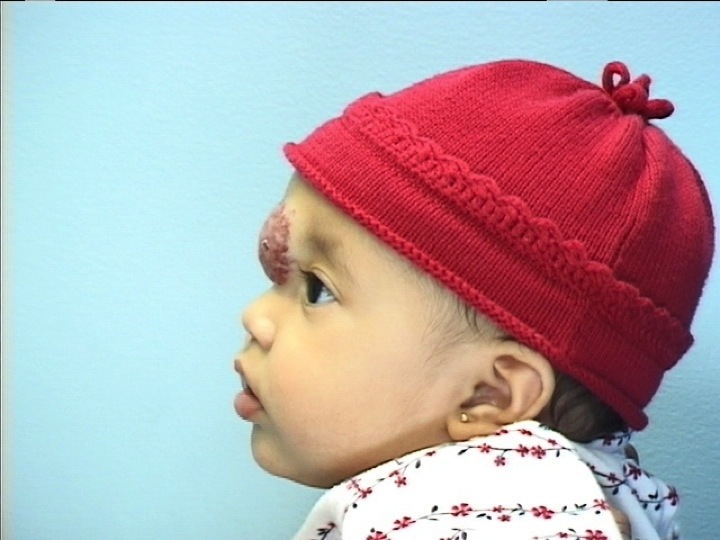 A surgical solution for large, superficial hemangiomas has to be well thought out by an experienced pediatric plastic surgeon. How many of us are out there practicing? Not many. 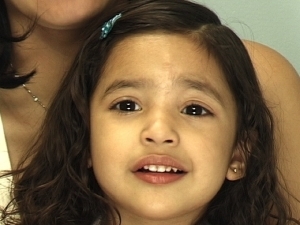 I have treated many children with very large hemangiomas on the face and scalp and all over the body. Why? Because my goals for surgical excision is to make a good trade: excise the hemangioma that would leave scar and baggy skin and restore proper shape of the face, scalp or body. For the face in particular, the key here is to remove the hemangioma as much as possible to restore the proper shape of the face. In other words, the goal is to create The Natural Look. Moreover, the surgical scar will be a fine scar that will fade with time. This has been my practice over the past 14 years. So, why consider an operation at one year of age as opposed to 5 or 6 years of age and beyond? It seems to make better sense to wait and see what happens and then consider surgery. Yet, if we consider the psychosocial development of a child from 2 to 5 years of age, then waiting may cause other more deep rooted problems that are very difficult to measure. 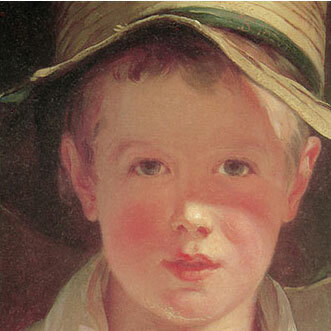 How can you measure confidence or insecurity in a 4 year old child? If a large superficial red hemangioma on the face will leave scar and baggy skin after 5 years of waiting, what is gained by waiting? A pediatric plastic surgeon knows that general anesthesia for an elective operation (performed at a hospital with a pediatric anesthesiologist) is safe. An operation to surgically remove an hemangioma, designed with the right strategy and goals, does not lead to much blood loss. I have never had to transfuse a child for blood loss during an operation to excise an hemangioma, in any location. The scar created at one year of age has a much better chance of fading and looking less noticeable by teenage years than at 5 or 6 years of age. After reading this, you will have a better sense of the complexity involved in treating hemangiomas, much more than the ‘don’t worry, it will go away’ advice. 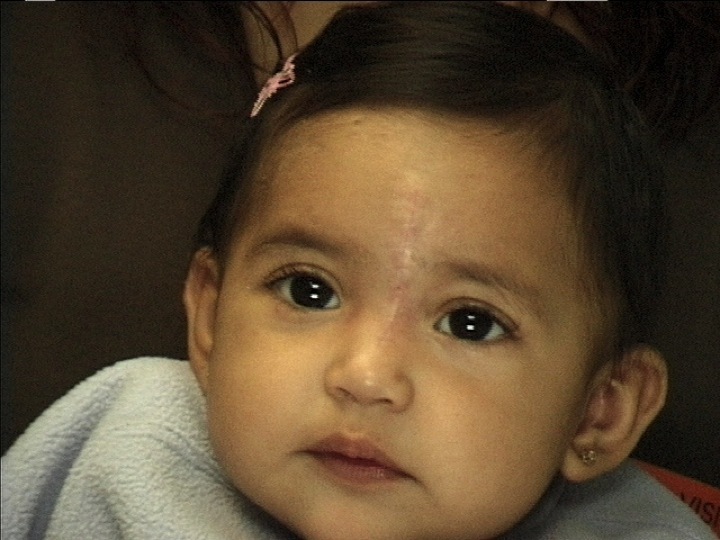 The most important thing is to understand the developmental potential of an hemangioma, the scarring potential of an hemangioma after many years of waiting, and good medical and surgical options to treat an hemangioma, especially on the face and scalp.